Heavy traffic in the Kansas City metro area has led to far too many road rage incidents. According to a 2014 study, 8 out of every 10 drivers in the United States showed some form of anger or aggression on the roadway, at least once. For example, nearly 25 percent of drivers admit to intentionally blocking another driver from changing lanes. Another 12 percent say they have cut off another driver in a fit of anger. These terrible events remind us that the unexpected can happen, so we need to be prepared with Kansas City estate planning. Law enforcement is searching for the individual responsible for shooting at a passing car near the intersection of I-435 and Holmes Road. According to witnesses, a man started yelling at a couple as he passed another car, complaining that they were driving too slow and telling them to get out of the way. The victims them allegedly pulled up next to him and started arguing with them. At that point, shots were fired and both victims in the other car were hit. One of the victim’s injuries were life-threatening. Estate planning provides an important opportunity for you to prepare yourself and your family for death, as well as, the possibility of incapacity during your lifetime. There are many different options when it comes to estate planning. Choosing the right one will depend on your individual goals for the future. 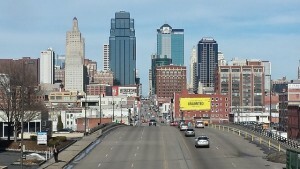 A Kansas City estate planning attorney can help you create the perfect plan. The legal definition of incapacity is the ability to comprehend the consequences of certain legal proceedings, including entering into contracts or signing legal documents. 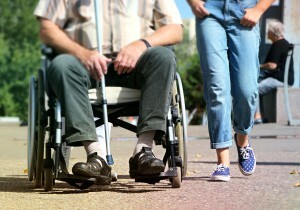 Incapacity could be caused by either a physical or mental condition and can be temporary or permanent. Now, when it comes to Kansas City estate planning, incapacity refers to the ability of an individual to manage his or her own affairs and to make important legal decisions for themselves. Without an appropriate estate plan that addresses incapacity issues, you might end up being appointed a court-supervised conservator or guardian. An appropriate estate plan should do more than simply state who should get your property after your death. Instead, a comprehensive estate plan should also include instructions for your care if you become disabled or incapacitated before your death. If you have minor children, it should name of a guardian for them. Your estate plan can include provisions for loved ones with special needs or disabilities, as well as loved ones who may need financial assistance or asset protection. Your estate plan can include distribution of life insurance proceeds for your surviving family, disability income insurance if you become unable to work, and long-term care insurance to assist in financing your medical care in case of an extended illness or injury. The reason many people put off creating an estate plan is that they believe they are either too young or do not have sufficient assets. But that is not the case. As Kansas City estate planning attorneys, we can tell you, you are never too young to start estate planning. That is because you cannot predict how long you have. Nor can you be sure that an unexpected illness or injury will not leave you incapacitated. In light of this uncertainty, the best course of action is to start your estate plan sooner rather than later. The reality is, the families of those who don’t have a plan are usually left to pick up the pieces without knowing where to start. Join us for a FREE workshop today! If you have questions regarding Kansas City estate planning matters, contact the experienced attorneys at Gaughan & Connealy for a consultation either online or by calling us at (913) 262-2000.